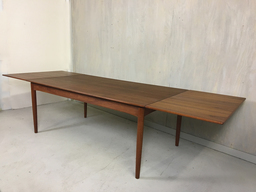 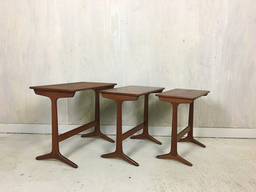 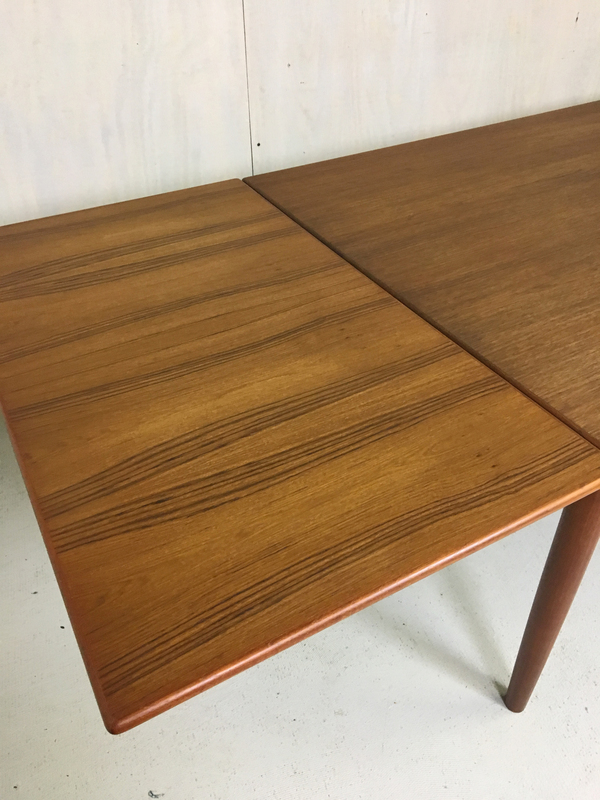 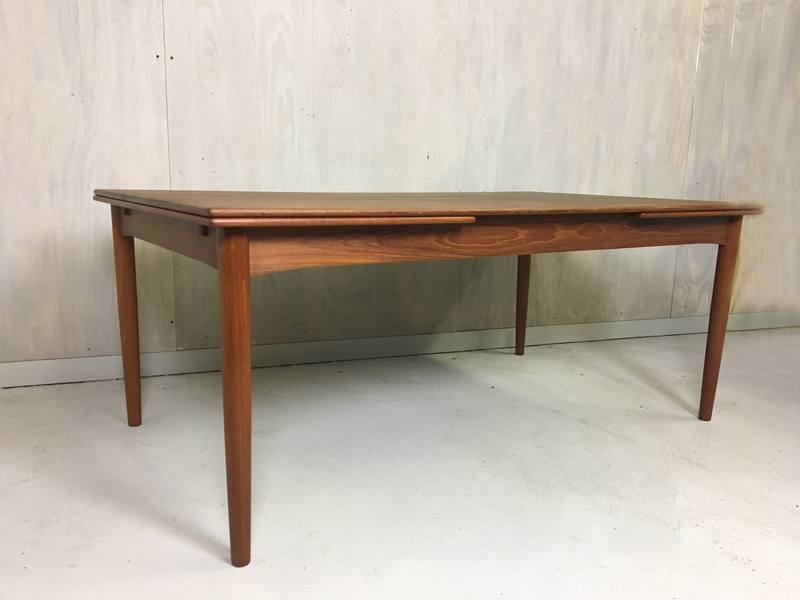 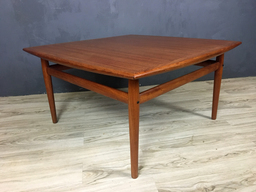 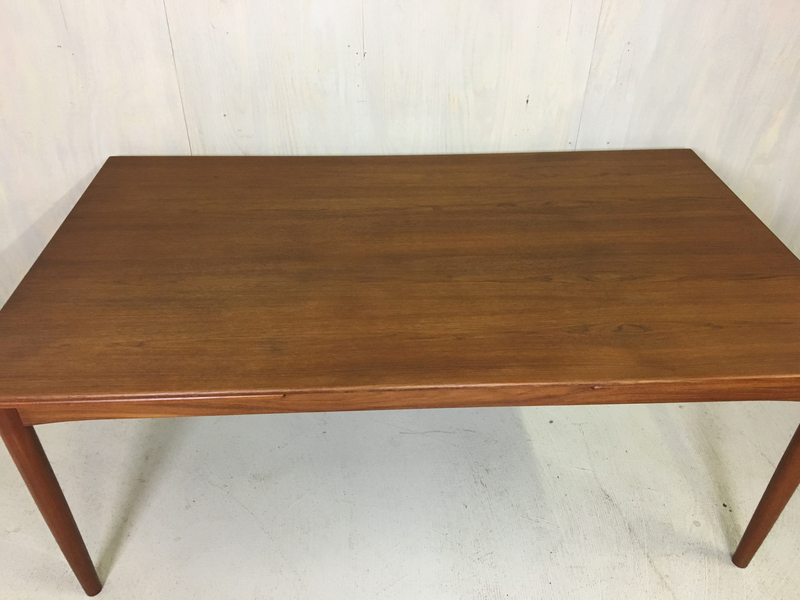 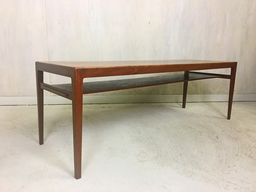 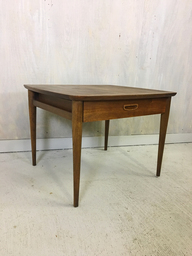 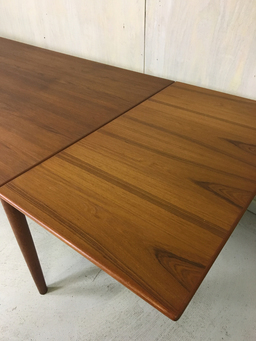 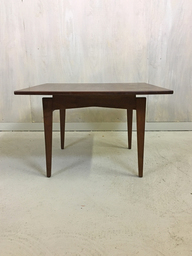 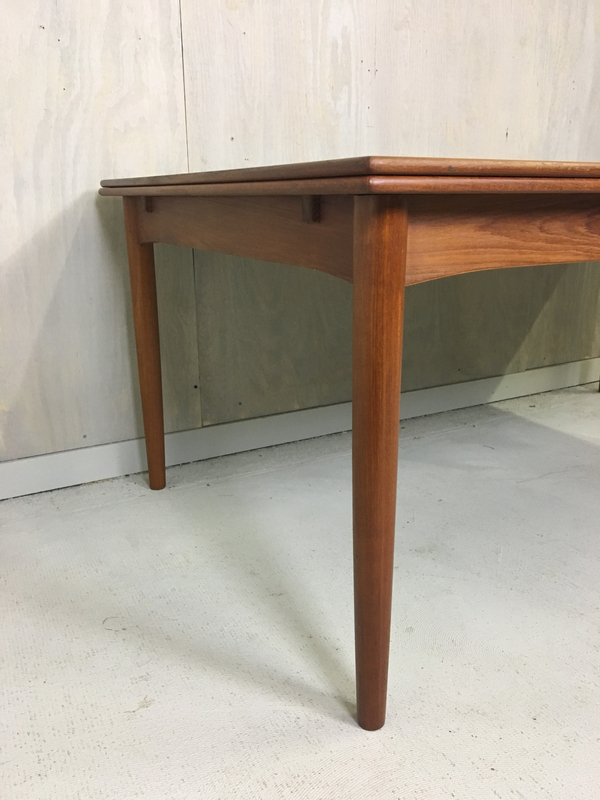 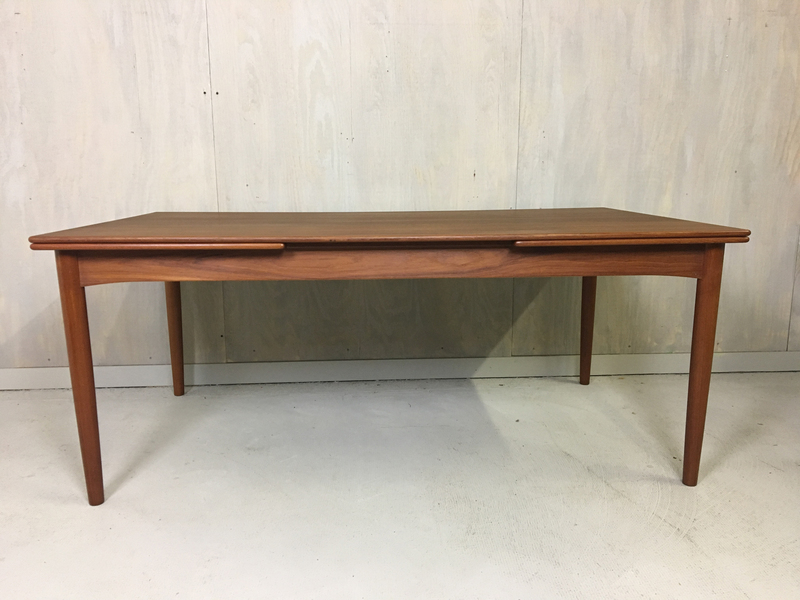 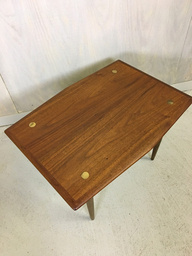 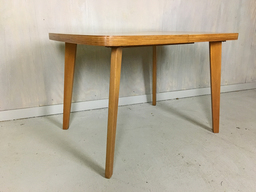 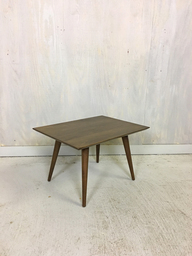 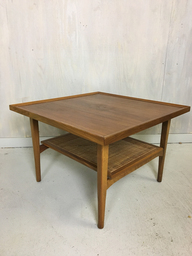 This restored Danish modern teak dining table features two 24-inch leaves that store underneath and pull out from the sides to extend the table to almost 10 feet in length. 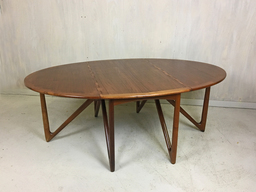 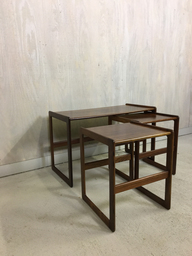 Gently tapered round legs and mellow teak patina make this table a real beauty. 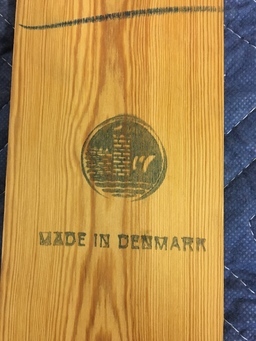 Stamped with the Soborg Mobler symbol on the underside. 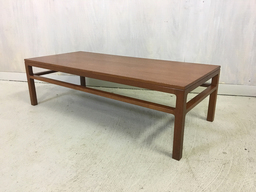 Very solid construction and in excellent vintage condition. 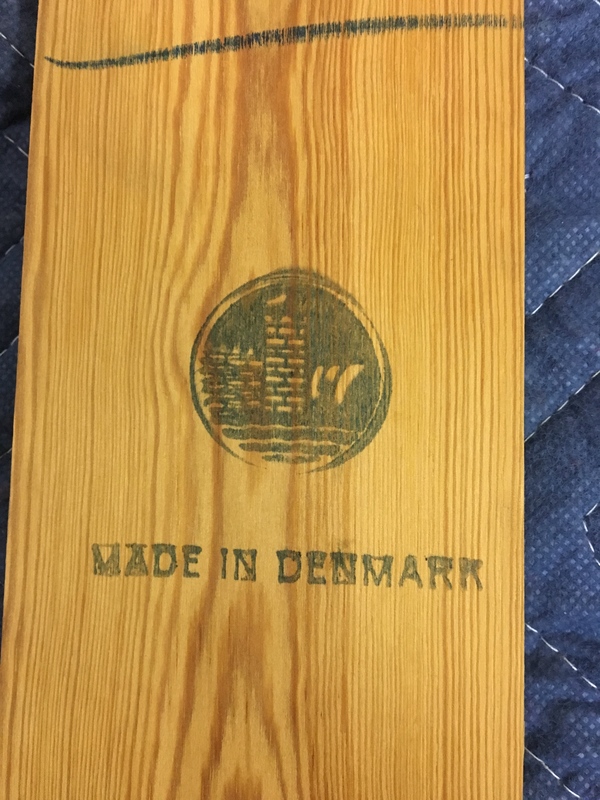 Made in Denmark.